YAY! It’s Sunday! Time to show ourselves off! Every weekend we start our Sunday morning’s entertainment by visiting our fellow Blog Hoppers who are doing selfies. 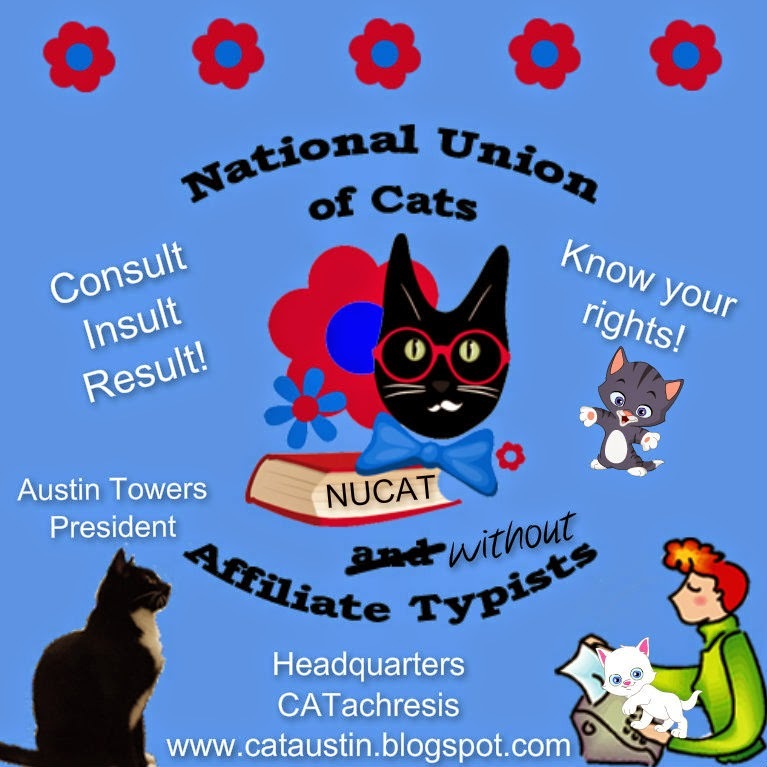 This is a GREAT Blog Hop hosted by our buddies and pals the Kitties Blue at The Cat On My Head. If you’d like to play along and show your selfie, just click their badge above and use the LINKY tool – fill it out – and you’re hopping along with us. Mom and I were out for a yard cruise day before yesterday and she snapped some shots of yours truly in my harness…………looking around the front yard for deer tracks, rabbit poop, bugs, WHATEVER has been “left” there for me to find. I didn’t find anything but I heard a squirrel and that’s why I look READY TO RUN in this photo! 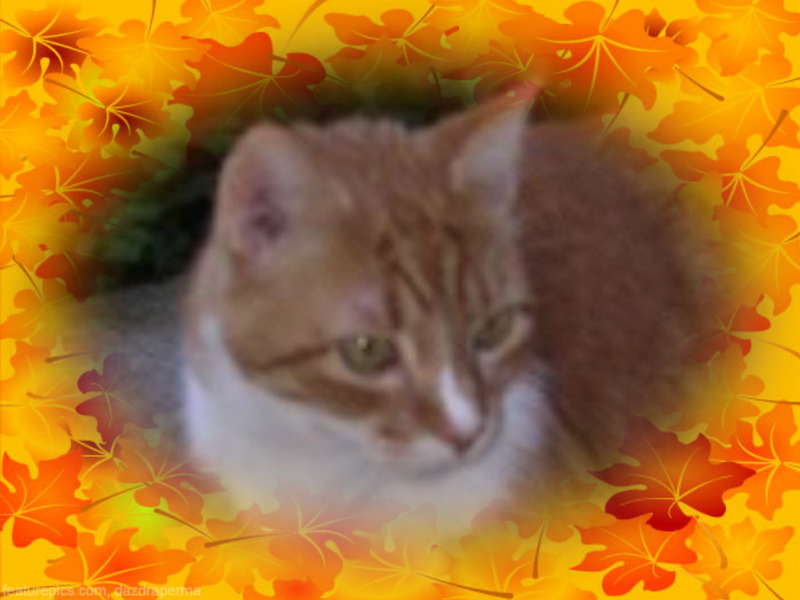 Mom “dolled me up” with Lunapic again – used an effect called “REDBLUSH” – perfect for a ginger isn’t it? Sure is a cool effect……….did some strange things to the grass (which needs to be cut) and my furs…………..and kinda neat how it highlighted my leash too. Anyway, that’s it for this Sunday’s ARTWORK-SELFIE! Welcome to my little celebration of a new year, and an old cat…..well, I WOULD have been old if I had lived until today because today would have been my 17th birthday. I’m going to celebrate it anyway even though I’m at the Rainbow Bridge, and I invite you to partake of a bit of New Year’s Day breakfast with me as we break in the new year. 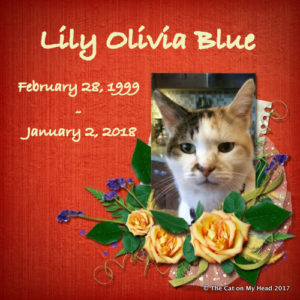 This picture of me is going to be my Sunday Selfie with the Kitties Blue at The Cat On My Head………and after you’ve had some breakfast, you can head on over to their blog by clicking on their badge to join in the hop OR see all the other photos being posted today! Now, won’t you head on over to the buffet line, help yourself to whatever your heart desires, then have a seat and enjoy your first meal of the new year? I’m serving a couple of old Southern traditional New Year’s Day items that my Mom INSISTED we have – black-eyed peas and cornbread! They are supposed to bring you GOOD LUCK so even if you’re not crazy about black-eyed peas (I love them with lotsa butter! 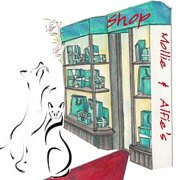 ), take a few – we need all the luck we can get in the new year I think, don’t you? If there’s something you’d like that’s not on the buffet – just ask and I’ll see that you get it……………….! Blackeyed Peas and cornbread for luck! Complete seafood buffet with live dead shrimp and all kinds of fish! I do hope you enjoy pigging out with me on this first day of a brand new year……………..and even though I didn’t QUITE make it to 17 – I’m definitely here in spirit – with you – my best buddies and pals. What more could a guy ask for? Well, maybe PEACE for the world in this new year – yeah – that’s what I’d ask for. P.S. Our sweet friend Nellie From Nellie On The Edge spent some time at the vet and was oh so very sick……she’s home and resting now but needs POTP and prayers. Since she couldn’t go out and party for New Years (she is the ultimate party girl you know!) I decided to whisk her away to the Cat Scouts New Year’s Eve party for JUST ONE DANCE….didn’t want to tire her out but wanted to give her a brief night on the town. Here we are! 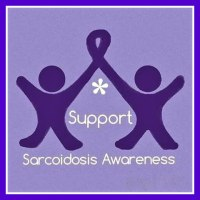 Please stop by her blog and give her your HUGS. She could use them for sure…………. before it rings in the new! It sure is – even if that Caturday is New Year’s Eve! One must make sure that before one indulges in a New Year’s Eve NIPTINI, one has FOOD in one’s tum. Then we will all be praying that the new year coming continues to be bountiful in the bacon department. After all, two out of three vets highly recommend bacon for their patients – US! And we all know that BACON truly does make every single thing BETTER including New Year’s Eve! SO…… what are you waiting for? Here’s to a happy, healthy 2017! P.S. Tomorrow, January 1, 2017 would have been my 17th birthday. Since I’m now a Rainbow Bridge Angel, I’m not having a big par-tay to celebrate…..instead, I’m inviting everyone to stop by and have a New Year’s Day birthday breakfast with me…..no party hats and balloons – just a good old breakfast buffet complete with bacon (of course). We’ll just start the new year off EATING……..TOGETHER………like the good friends that we are! Hello everybody! Thanks to all of you who stopped by yesterday to join in the Post-New-Year’s-Eve/Sweet Sixteen Birthday party because it was absolutely tons of fun. For me and I think for everyone…………….so many people came by I was just plain overwhelmed! Not too overwhelmed to share a few more things about the day though……..like for instance this from my buddy and pal Raz at Friends Furever! THIS MADE ME SO HAPPPPPY! I also got more birthday cards in so I’m having a “re-do” of all the cards I got including the new ones! 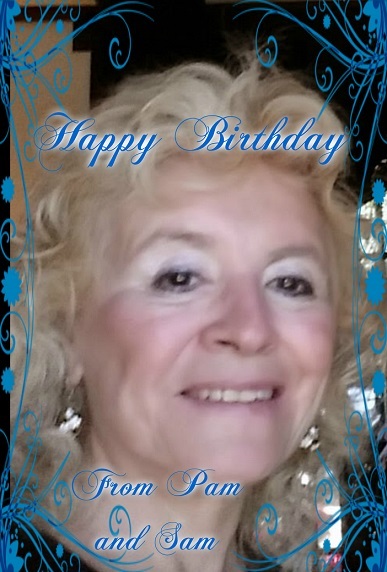 Thank you to all of you who sent me birthday emails with wishes and Jacquie Lawson cards and all manner of greetings – my old heart swelled with friendship for all of you who took time to do that………………….ONWARD TO SWEET SEVENTEEN! Now – what are we here for this morning? I think you all know by now what my Saturday is all about………………..BACON! That’s right……….the BIG B………….yummy in my tummy! Just a few of your favorites (and mine!) celebrating the beauty of bacon………………….until the day I fly off to the Bridge I will enjoy every Saturday’s bacon!! If you’re a bacon lover and not a member of my Bacon Appreciation Club, what are you waiting for? This badge is for YOU!!!!!!! Thanks for the cool t-shirt Raz! Happy New Year everyone! So glad you could make it……………………I decided to host a “new years day recovery” spot for all of you who maybe partied a BIT too much as well as those of you who came to party some more to celebrate with me my 16th birthday. SO, pull up a bed if you need one, or hit the buffet table…………mimosas, hot chocolate, just help yourself and let’s bring in the new year together! First a thank you to my friends who sent me birthday cards yesterday! WOO HOO!!!! I started celebrating yesterday which was totally cool……………! Now please help yourselves to the breakfast buffet if you’re hungry…………………………! An omelette station – just add what you like! Seafood galore if that’s your favorite! Fruit Juices of ALL kinds! AND….when you choose to snooze? Save some room for a little bit of SWEET after you eat! his SWEET SIXTEEN birthday party! Fall continues to fall here! 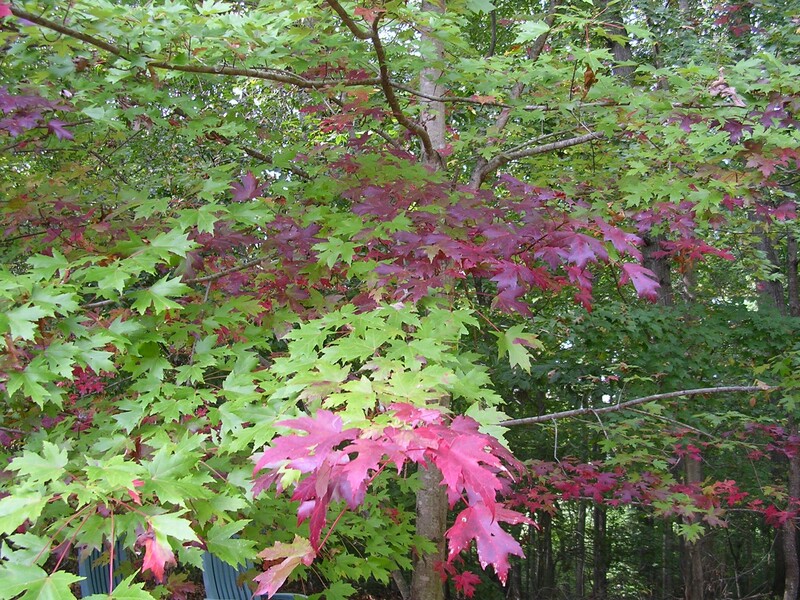 That’s right – the leaves are coming down like rain these past two days……..just enough breeze to blow them down from their spots on all the big trees around our house – I can’t even go outside in my own yard without getting bopped on the head by falling leaves! 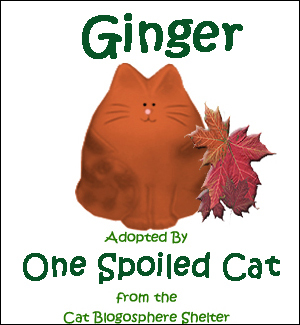 I guess it could be worse……..those acorns falling are a lot more painful when they hit my ginger head than leaves are that’s for sure. Here’s how things look around here………. 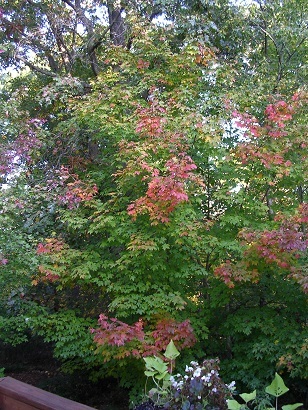 We are nowhere near “peak” color though so I’ll show more photos as we march further into Fall. I hope it’s pretty where you are! 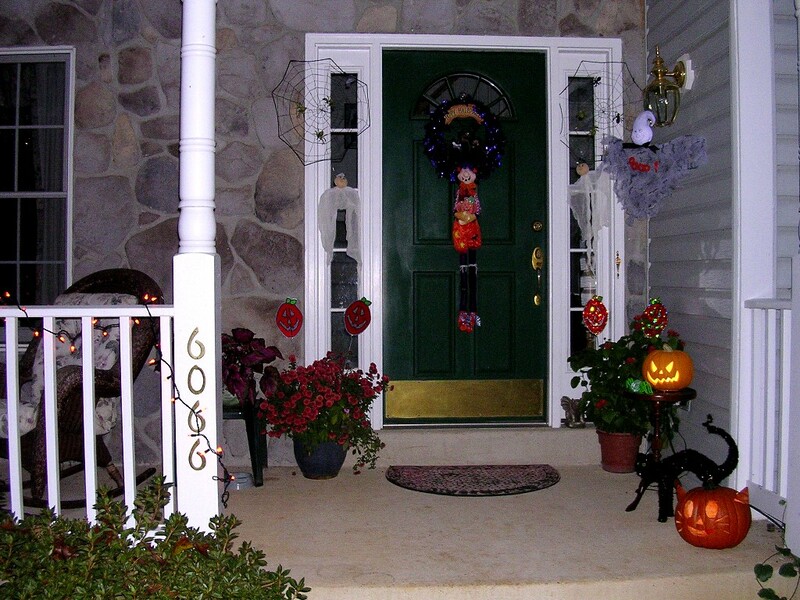 I spent time on my porch this morning – it was chilly! 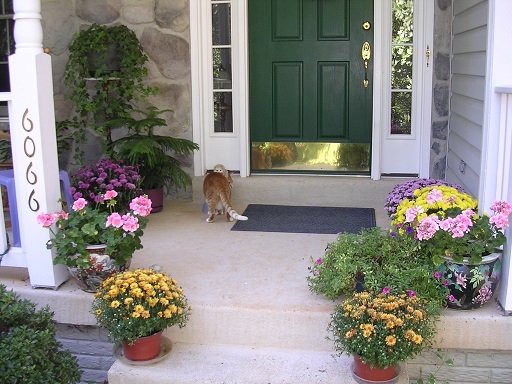 OK Mom….that’s enough outside time for now…..
Won’t be long before Mom will have to bring some of the houseplants that have lived on the front porch INSIDE for the winter – in fact we might get our first frost this weekend – EEEEK. We want to take a minute to wish my friend Raz and Allie’s Mom Miss Sharon from FRIENDSFUREVER a very HAPPY BIRTHDAY today! Tomorrow is my BACON day so I’ll be busy celebrating that you can just BET on it! Fall is falling all around us so Mom and I decided to “Fall-I-fy” my selfie for The Cat On My Head Selfie Blog Hop today! A ginger cat surrounded by orange – good combination right? Click badge to visit the Hop! Also, thank you to everyone who made Mom’s birthday so special!!! Here are some of the cards and photo everyone sent in! AND, this special “moving” birthday message from my Cousin Bacon and his Mom!! One thing I read over and over on the blogs I follow is that without a doubt, meeting the people we “follow” in the blogosphere in person is almost always TONS of fun. You know these people from their blogs so they’ve been friends for a long time but once in a while you get lucky and your paths cross! On Monday my husband and I met the dynamic duo behind The Cat On My Head blog – the Mom and Dad of all those Kitties Blue we know and love. They were not far away from our town on business and were coming BACK through this way so we decided to meet in Warrenton for lunch. 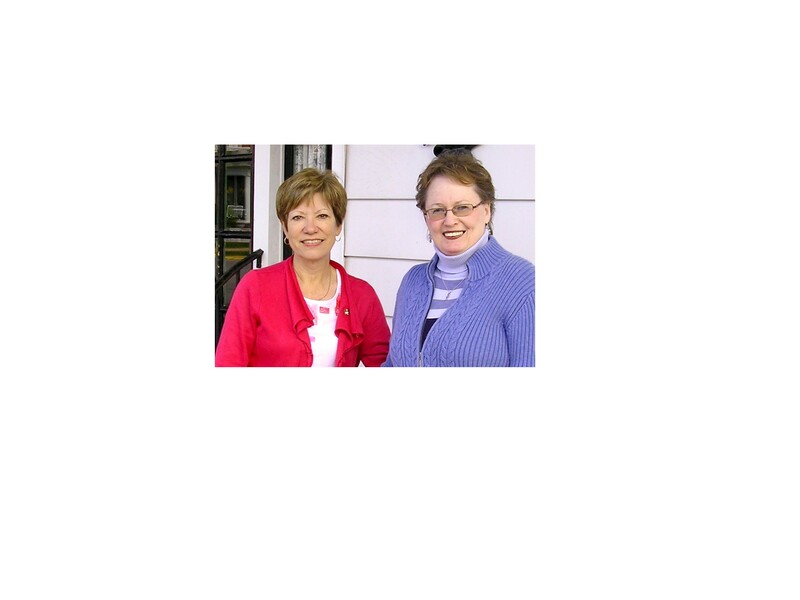 It was so much fun…….you see, not only are Janet and I friends from our blogs, we are friends through Cat Scouts as well. 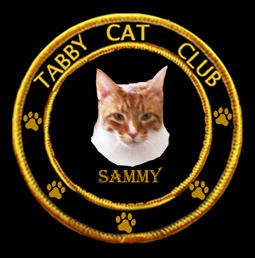 Remember, Sammy is a Troop Leader and Janet’s cat Mauricio is the Assistant Troop Leader! It was a lovely lunch and a fun time and even the FLAT CATS had a ball………we got to bring Mauricio home with us in fact. The thing about “Flat Cat Scouts” is that our “Flat Cats” have been spending months traveling EVERYWHERE visiting each other through the mail. We’re logging miles up as we visit and having photos taken of our cats enjoying themselves……….and whoever racks up the most miles is going to win a PRIZE. Mauricio will be off in the mail today visiting another Cat Scout…………”Flat Sam” will be mailed out too on another visit. I think the Cat Scouts are probably traveling more than most of my human friends have in YEARS!!! Here are some photos from the past few days…………………I think you can tell it’s been FUN…………………. Anyway, meeting someone in person that you’ve known only “at a distance” on the computer is always fun………………this was no exception. David and I enjoyed visiting with Janet and Tom AND “Flat Cat” Mauricio! Mauricio is celebrating today before he leaves us – it’s his BIRTHDAY today – so we hope he has a SUPER special birthday trip ahead to his next destination. 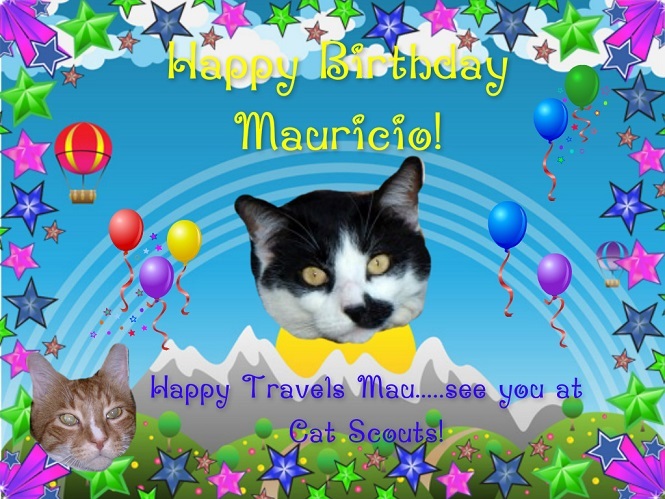 Farewell Mau – bon voyage and Happy Birthday! BUSY BUSY BUSY……………….every week we have monster day and every monster day I help by staying out of the way and taking care of getting MYSELF cleaned up…………it’s the least I can do – giving myself a bath on Fridays. While Mom and Dad are pushing the monsters around sucking up the dust bunnies, I’m cleaning between my toesies, taking care of my ears and face……and my tummy of course……the spots I can easily reach. Mom will brush me and take care of the others. 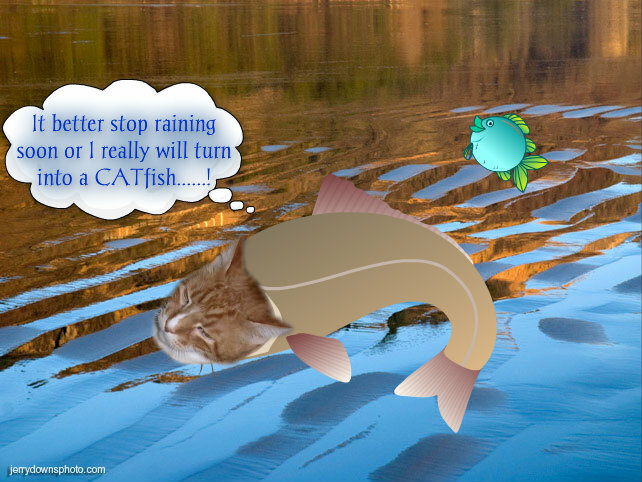 Besides, I have a special reason to be extra clean today – it’s my Auntie Carol’s birthday (Mom’s sister) and I wouldn’t want her to read my blog and see a dirty cat! OH NO! Heaven forbid! This is for you Auntie Carol (and I promise you I’m clean!). It won’t be long now before July 4th celebrations…………….that means noisy fireworks…………I’ll be wearing my headset to keep out all the BANG BANG, KABOOM, SWOOOOOOSH BOOM noises. My Mom and Dad will probably have a cookout at dinner time but at night – there will be fireworks. They usually have a bit of a show in the front yard…….this year maybe just a few. I am at the point where I like to WATCH them from inside the house though – that’s progress – I used to HIDE when they did them! Are you afraid of loud noises????? Mom thinks maybe because my hearing isn’t as good as it used to be, I may be able to watch without any problems. Even though we live WAY WAY out of town in the Virginia countryside, Washington, DC always does a spectacular display down on the National Mall…………..a bazillion years ago my Mom went to that but it was just a mass of humanity and heat – our front yard fireworks are enough for us! Well I’m off to begin snoopervising the cleaning…………cracking the whip – getting these humans MOTIVATED (sometimes that’s tough!). A Special P.S. 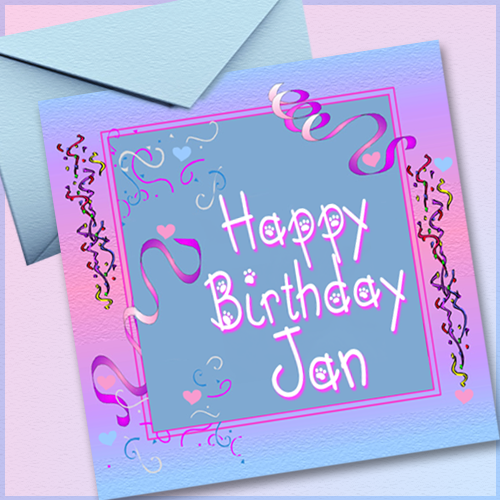 A very HAPPY BIRTHDAY to Miss Jan of Jan’s Funny Farm today!!!!! Good morning friends and fans…………it’s going to be another one of those days when there’s no place like Mom’s legs. That will require her utmost cooperation though – something that was sadly missing yesterday when I had to resort to HOWLING at the bottom of the stairs to get her out of her studio and down in the living room with ME on the recliner. APPARENTLY I’ve been under under the false impression that I’m #1 around here. She’s supposed to drop everything when I call right? Well she’s falling down on the job! Purrrrhaps I need to get that NUCAT performance review paperwork back out and let her HAVE IT! On the other paw, I know the old saying “don’t bite the hand that feeds you” (and cleans out your litterbox). I’ll just try to be a bit more patient. Not an easy task. Know what else today is??? It’s HUG YOUR CAT DAY!!!!! 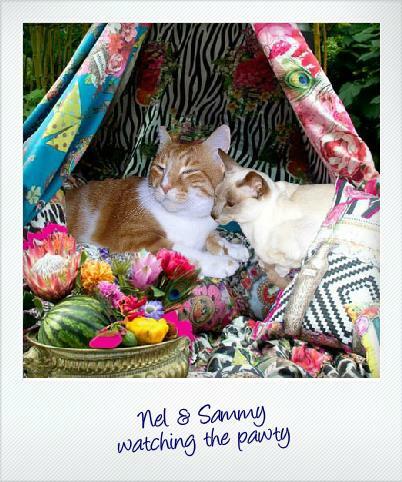 That’s right – although I purrrsonally think EVERY day is “hug your cat day” – here are some of the huggy photos Mom has of the two of us in a little mini-slide show! MAKE SURE AND GIVE YOUR CAT AN EXTRA HUG TODAY!!!! 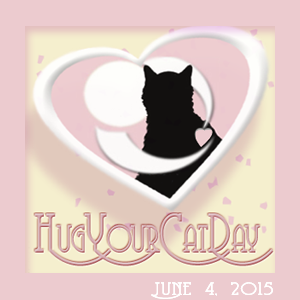 IF YOU WANNA SEE OTHER HUGGABLE KITTIES, VISIT THE TABBY CAT CLUB WHERE WE ARE SHOWING OFF OUR HUGGABLE-NESS TODAY! Today is not only HUG YOUR CAT DAY, it’s also the birthday of my girlcatfriend Sundae’s Mom, Miss Dianna who is one of Mom’s bestest friends. 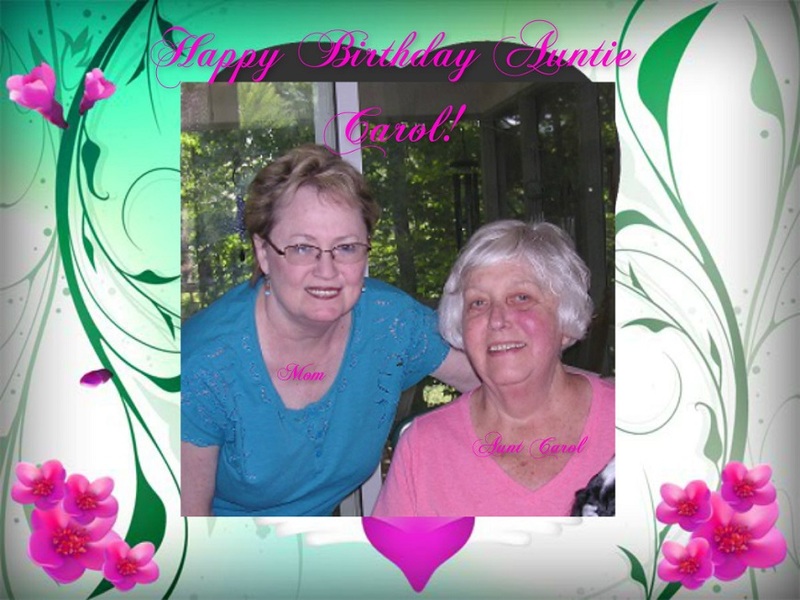 If you’d like to send her your birthday wishes, you can visit her blog HERE to do so! It’s otherwise a quiet day here – no outside photos as it’s raining still and has been for days……………….remember this? It’s starting to look a lot like this around here! Here’s hoping wherever you are, the weather is PURRRRRRFECT! 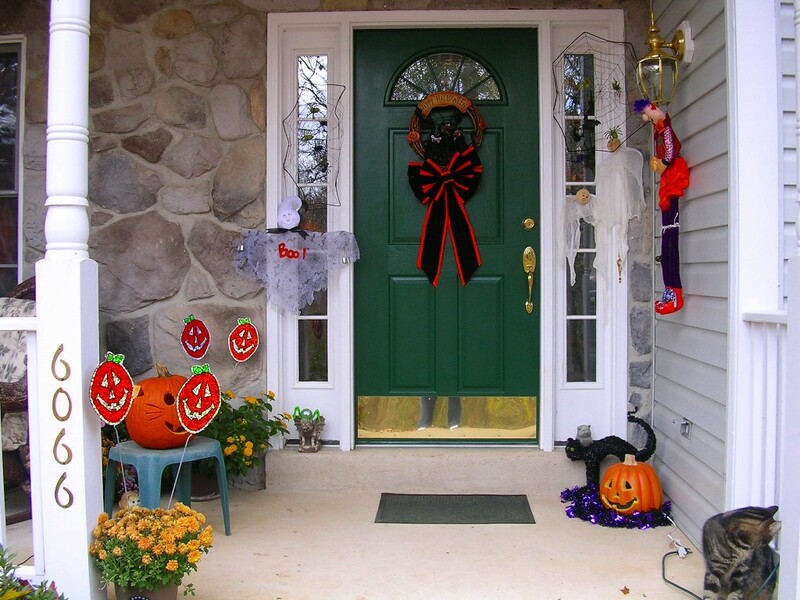 See you on Monster Friday……I’m going to go warn the dust bunnies here to HIDE!